Australian credit unions have been at the forefront of using technology to maximise their market opportunities and providing innovative and cost effective products and services to their customers. 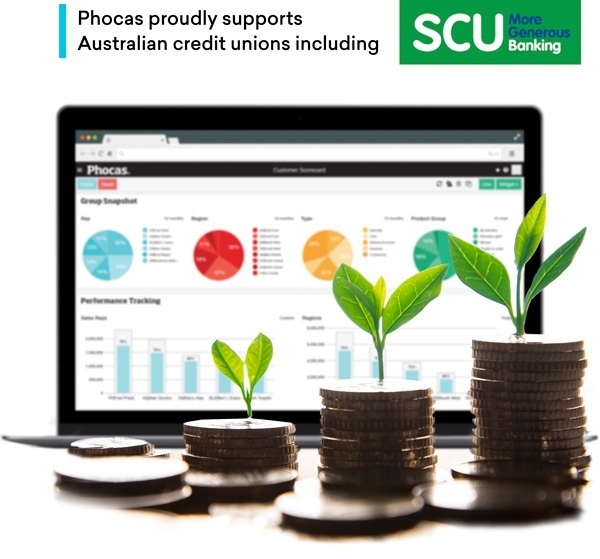 Phocas has worked with credit union management, staff and industry suppliers and is in an excellent position to help you take an important step towards better management through data. Australian credit unions can now get member data from the major core banking system Ultracs (from Ultradata Australia) and automatically populate this data into our best of breed data analytics solution, Phocas software. This provides a whole host of options for your credit union in that executive sales, marketing, and branch teams can easily access the data they need to drive sales, target promotions and improve customer service. Customers love Phocas for the speed and simplicity it brings to data analytics. And getting started with Phocas is straightforward. We even have a specialist team with expertise in the Australian credit union market to assist in the design and deployment of the solution.